These statistics are not too surprising considering just how easy it is to access the internet. The rise of mobile devices and the wide availability of publicly accessible WiFi makes it easy to connect nearly on demand anywhere at any time. Enjoying the internet safely is key. There is no license required to log in, no permit needed to browse. The simplicity of using the internet can often lead people into a false sense of security. It is important to remember, however, the many potential dangers lurking on the web. Online shopping is quick and convenient, allowing consumers to compare prices and browse selections at their own leisure. But be careful when entering payment information online. Make sure the site is secure. Look for “https” and a padlock icon and/or the word “Secure” in front of the web address. Never have the computer or mobile device store passwords or payment information. Enter it manually each time for greater security. Installing trusted software to prevent malware, spyware, and spam, and phishing. (Learn more about these terms by calling the Wakulla County Extension office.) Never click on any links that look suspicious or are from unknown sources, as this is often how cyber criminals gather information. Use social media wisely. Be sure to set up the proper privacy settings on sites such as Facebook, Twitter, Pinterest, and Instagram to prevent strangers from exploiting personal information. But privacy settings are just the beginning. Practice common sense social media strategies by not sharing too much online in the first place. Fraud and identity theft are two of the biggest and widely known risks when using the internet. But another risk that is not as often talked about is cyberstalking. Cyberstalking is persistent and targeted harassment from someone online, most often via email and social media. While this can happen to anyone, children and teens are particularly vulnerable. Monitoring the online activities of children and setting stringent parental controls can help reduce the risk of online harassment. However, teaching children about the potential dangers of internet use and reducing daily screen time are even more effective in preventing them from falling prey to online predators. 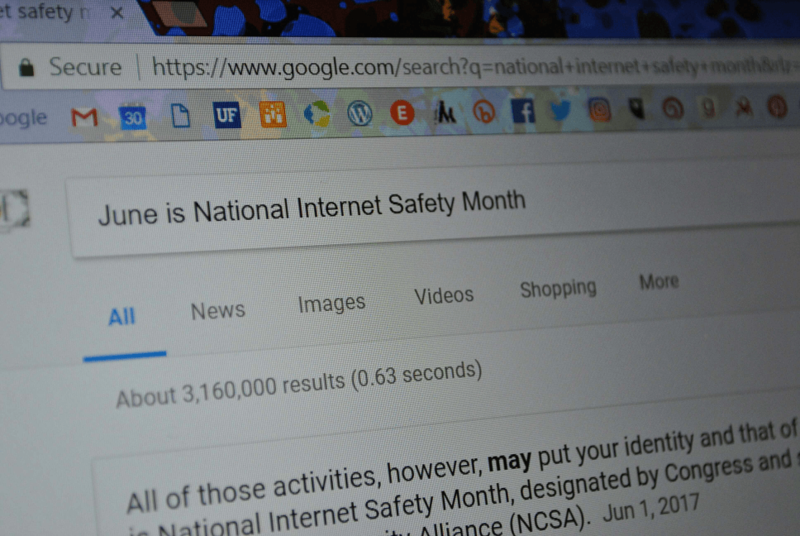 One last thing to consider regarding internet safety is the use of the cloud, or the digital storage space for all those photos, documents, movies, and music files. Storing on the cloud makes it easy to access files from anywhere with an internet connection. However, be sure to also back everything up to a hard drive, or even better, a portable storage device that can be kept in a safe location. The internet is a vast and often wonderful place. It allows us to quickly and conveniently access information, reorder cat food, pay bills, or watch our favorite movie with just a few clicks. By following a few safety precautions, however, the internet can also be a safe place to learn and play. For more information about internet safety, please call Samantha Kennedy at the UF/IFAS Extension office in Wakulla County at (850) 926-3931. 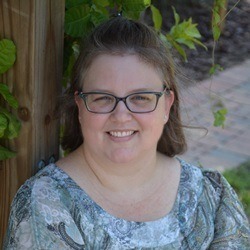 Samantha Kennedy is the Family & Consumer Sciences agent with UF/IFAS Extension Wakulla County. Her areas of expertise are healthy food preparation, food preservation, food safety, health and wellness, and financial education.